How is Heat Transferred through the Atmosphere? Our weather changes constantly, from day to day and even hour to hour we can experience wild swings in atmospheric conditions. All of these changes must be powered by energy. THE ENERGY THAT POWERS OUR WEATHER SYSTEM COMES FROM THE SUN. HOW DOES HEAT MOVE THROUGH OUR ATMOSPHERE? RADIATION IS THE TRANSFER OF ENERGY BY WAVES. 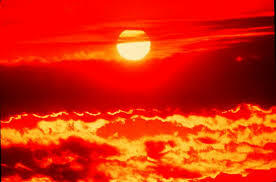 Energy from the Sun reaches the Earth through radiation called insolation. INSOLATION IS INCOMING SOLAR RADIATION, OR LIGHT. The insolation that strikes Earth's surface is then absorbed and then re-radiated in a different form called infrared radiation. CONDUCTION IS THE TRANSFER OF HEAT BY PHYSICAL CONTACT. Objects that absorb insolation become hot. The heat is then transferred to any objects they are touching. This is also how your stove works. The gas burns on your stove creating heat. The heat is transferred to the pan physically touching the stove, and from there to the food physically touching the pan! CONVECTION IS THE TRANSFER OF HEAT BY CURRENTS. Here it is warmed and the cycle repeats itself creating massive looping currents of air. Ideally all the INSOLATION entering Earth from the Sun would leave as INFRARED and we would have a temperature equilibrium. If this were the case, we would gain the same amount as we loose the Earth’s heat budget is in balance and our planet's temperature would remain stable. If the heat budget is out of balance the Earth will either heat up or cool down. Unfortunetly, human activities like energy production and transportation have thrown our planet's heat budget out of balance, causing our planet to warm up. CERTAIN GASES IN OUR ATMOSPHERE ABSORB AND REFLECT INFRARED RADIATION BACK TO THE EARTH'S SURFACE, TRAPPING HEAT IN THE ATMOSPHERE. 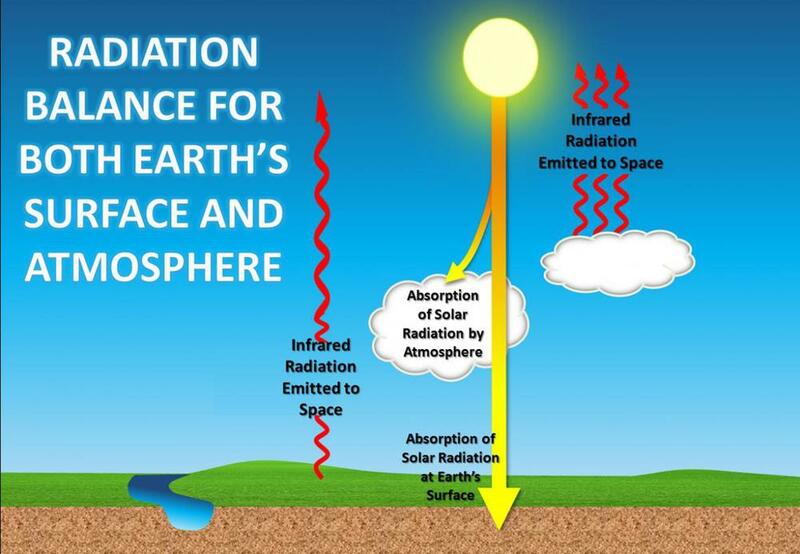 GREENHOUSE GASES LIKE CO2, METHANE, AND WATER VAPOR ABOSORB INFRARED RADIATION TRAPPING IT IN OUR ATMOSPHERE.